The modern City of Saint Catharines was formed 01 January 1961 by the amalgamation of the City of Saint Catharines with Merritton, Port Dalhousie and Grantham Township (Dobell). 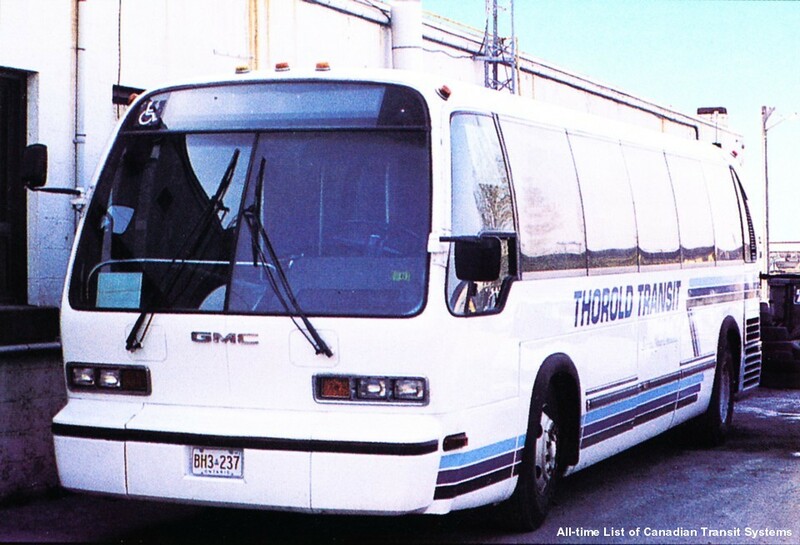 Nothing is known about this operation except that it issued [undated] passenger fare tokens. The typical business pattern was common carrier scheduled omnibus service between railway station(s) and local hotels, coordinated with train arrivals and departures. Most such firms also engaged in charter activities, and some also carried mail. 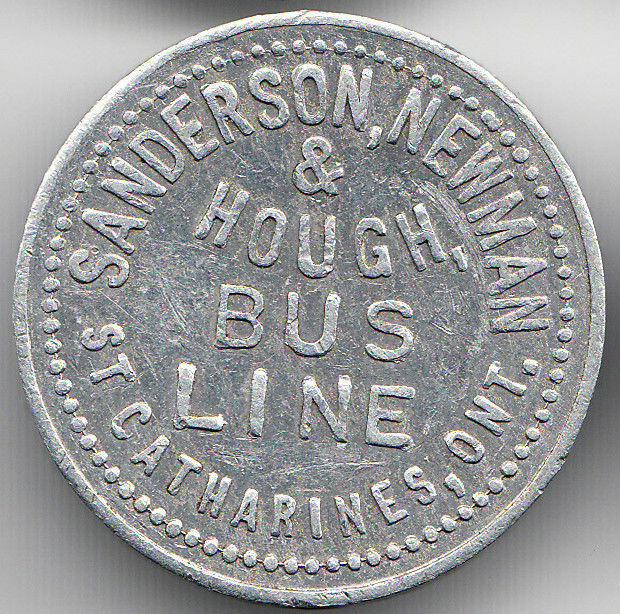 Some tokens inscribed Sanderson & Newman Bus Line. ( Atwood – Coffee p. 470). Incorporated 1874 (Ont.) Service reached Merriton in 1880 and Thorold in 1881. Name changed to StCM&TStRyCo 1882. One line was constructed in 1888 under the legal ownership of the related Niagara & St. Catharines Street Railway Company (Mills 1967). Incorporated 28 July 1893 to acquire the StCM&TStRyCo. Purchased by the NS&T 01 May 1901. Incorporated 1898. Acquired by the Canadian Northern Railway in 1908 which became on 20 December 1918 Canadian National Railways. After 1922 the railway was designated the Canadian National Electric Railways: NS&T Railway District. 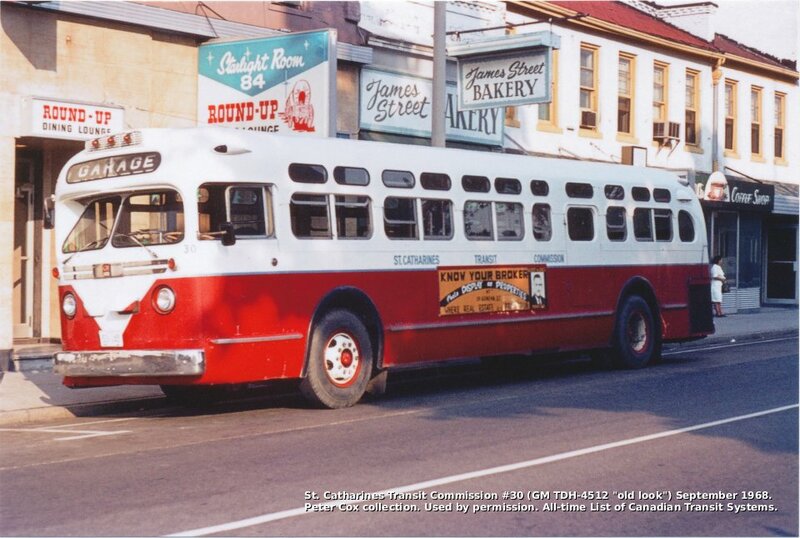 Local service included St. Catharines, Merriton, Thorold, and Port Dalhousie. 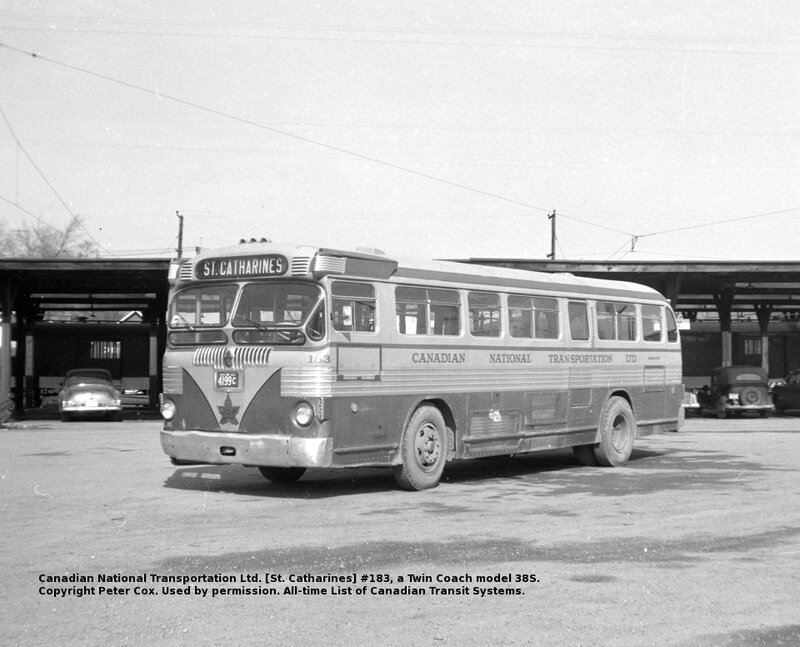 After 1931, bus operations were conducted by the NS&T under the Canadian National Transportation Limited name. The NS&T was formally amagamated with parent Canadian National Railways December 1960 (Dobell). (photo Peter Cox). Road transport subsidiary of Canadian National Railways. Continuation of NS&T operations pending transfer to municipal ownership. Bus operator operating in St. Catharines in opposition to NS&T street railway service (CR&MW December 1926, p. 667). Separate from St. Catharines for a period in the 1990's. 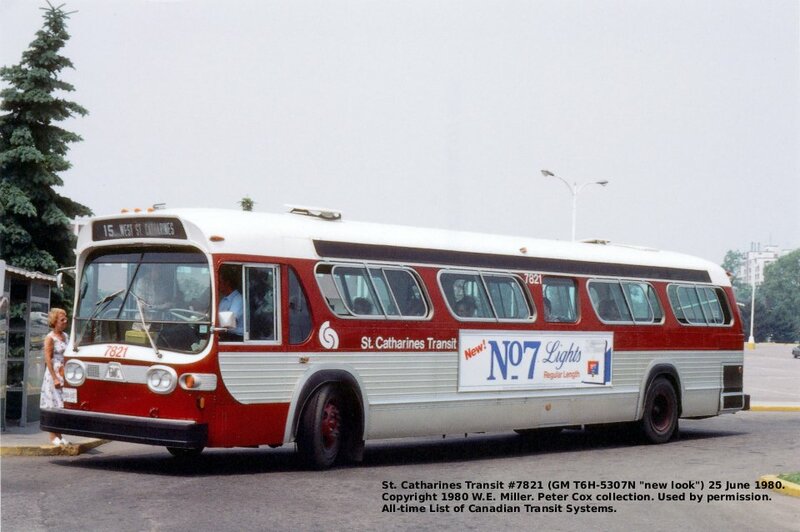 By 2000 operated by St. Catharines Transit using StCT buses (CTHF/SSG 2000). 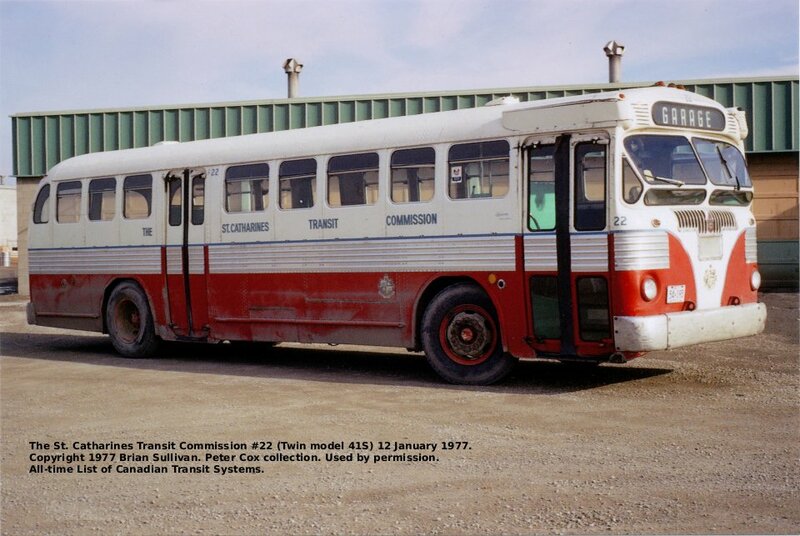 Operated by contractor 5-0 Transportation (CPTdb Wiki 2014). Perera 1973 lists that the Town of Thorold received transit operating subsidies from the provincial government separate from St. Catharines. (photo Bus World , Vol. 19, No. 2, Winter 1996-97, p. 17, Chow 1998, CPTdb Wiki 2014). Regional transit service linking St. Catharines, Thorold, Niagara Falls, Welland, Port Colborne, and Fort Erie. Operation of individual routes is by St. Catharines Transit, Welland Transit, or Niagara Falls Transit. (website 2011). 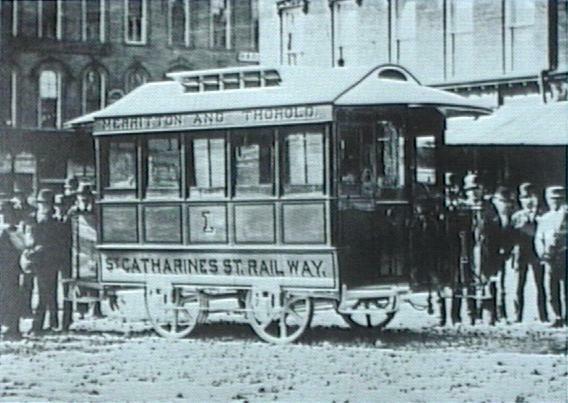 Organized from predecessor, the St. Catharines Street Railway Company in 1882 and electrified that company's 1881 interurban animal railway line from St. Catharines to Thorold 10 October 1887 (trial run 05 October 1887). Incorporated 28 July 1893 (Ont.) to acquire the StCM&TStRyCo (see St. Catharines). Purchased by the NS&T 01 May 1901. 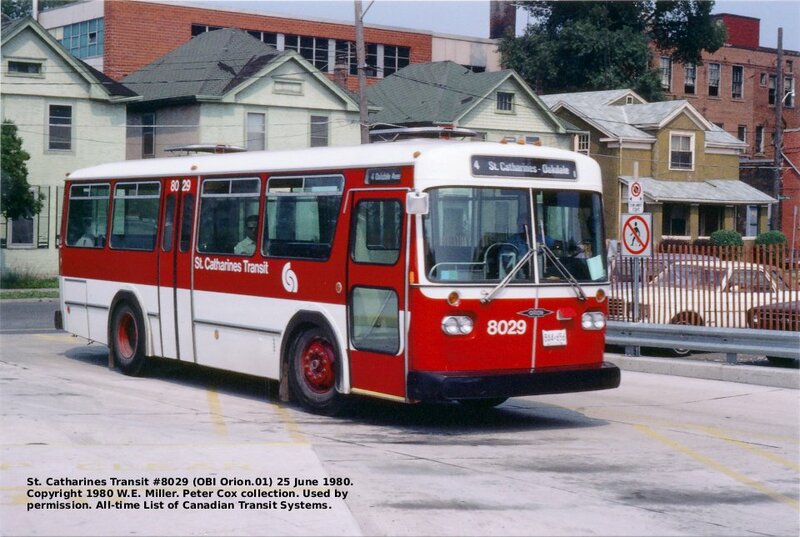 Dobell, Mark, St. Catharines Transit, 1961-2001: The First Forty Years St. Catharines: Mark Dobell, 2003. Niagara Falls Railway Museum Gallery - Niagara, St. Catharines and Toronto, a World Wide Website at the URL: http://www.nfrm.ca/galdisp.php?TitleID=6&resultpage=1&pagesize=4 2006. Mills, John M., Niagara, St. Catharines & Toronto Railway: A Canadian National Electric Railways Subsidiary Pickering & Montreal: Railfare DC Books, 2007. Niagara, St. Catharines & Toronto Railway , a document published on the World Wide Web at the URL: http://www.trainweb.org/elso/nst.htm 1997. History pages “Compiled by Peter D.A. Warwick”. Site maintained by W.E. Miller. “St. Catharines Transit Commission History”, a world wide web page at the St. Catharines Transit Commission website, URL: http://www.vaxxine.com/stc_transit/history/default.html, 2007.